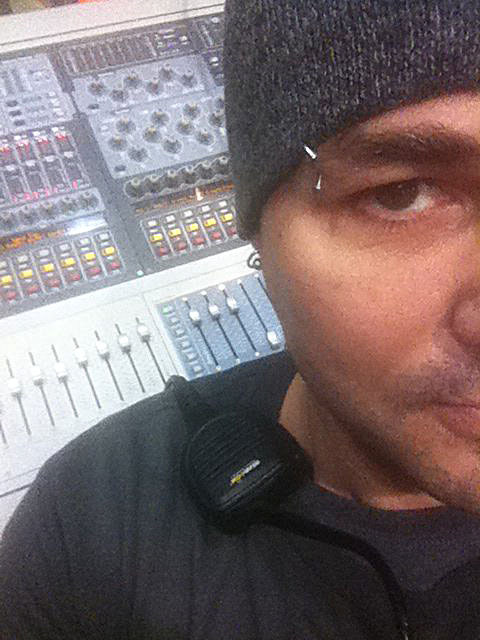 Paul Peters, FOH/IEM (in-ear monitor) engineer, producer, songwriter, and performer. I’m also a PreSonus artist. My experience with PreSonus started in 2008, when a church in Merritt Island, FL wanted to get a small compact console for their satellite campus. I did research and loved the PreSonus StudioLive 16.4.2. I ordered the console, installed it, and began a love affair with PreSonus that is still strong. On multiple tours over the past five years, I was contacted by the band A Day To Remember in 2009, because the IEM system they were using failed. I suggested the PreSonus 24.4.2. They purchased the console and flew me to Ocala, FL to tweak it out for them. They loved it, and I was soon hired to be their FOH/IEM engineer for two tours. After tens of thousands of miles, and countless shows, the mixer is still running strong. Because of the quality and reliability, the PreSonus StudioLive family has been the first suggestion I make to touring bands, clubs, or houses of worship. I have also been on tour with Sick Puppies, We Came as Romans, Otherwise, and Papa Roach. Personally, I own a StudioLive 16.4.2. I use it when I play clubs or when I mix other bands. I purchased the mixer in 2010 and have yet to have anything go wrong with it. I have also installed PreSonus StudioLive consoles in over 10 different venues including clubs, concert halls and houses of worship. The functionality of the StudioLive consoles is where it truly shines. Great sound quality, comprehensive layout and portability makes the StudioLives great for any application. The virtual sound check is an incredible tool. The WAV files from Capture rival most pro DAWs. My favorite feature is Universal Control’s remote iPad mixing. It has eliminated the need to pull an audio snake for a FOH position in just about every application. Tweaking monitors and house is completely portable, and easy. My iPad, router and StudioLive mixer are my best friends. What are you working on now—or next? Recent PreSonus adventures have been the A Day To Remember IEM mix, the Heritage FOH mix, and the Ridiculous Youth Conference in Panama City Beach. I’m sure my next gig is right around the corner.